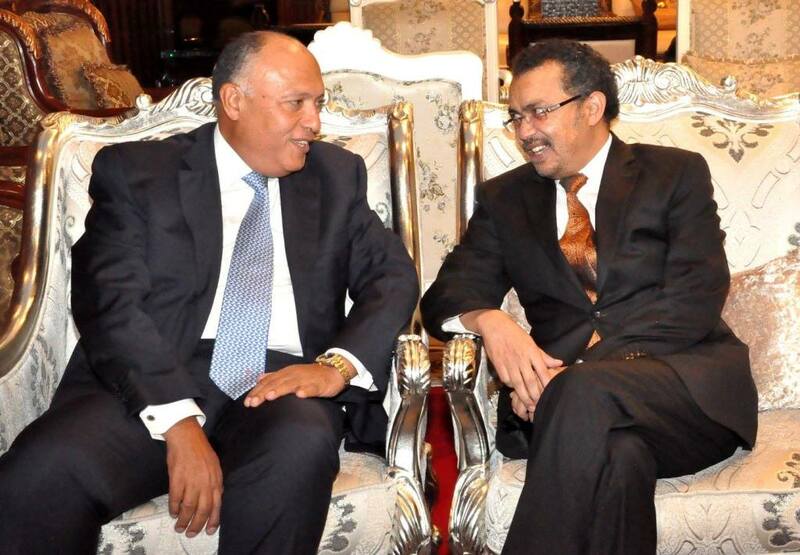 Ethiopia: President said, "Relations with Egypt is growing about the Grand Renaissance Dam"
Addis Ababa (HAN) December 14, 2014 – Public Diplomacy and Regional Security news. Ethiopian President Mulatu Teshome said that major progress was taking place in his country’s relations with Egypt and that the two states would reach understanding on means of benefiting from the waters of the River Nile. Addressing a joint session of the two chambers of parliament in the Ethiopian capital Addis Ababa, the Ethiopian President added that major developments had also happened in Ethiopia’s relations with other Nile Basin countries. “Relations with lower riparian countries have been growing, particularly with Egypt as of late, after it changed its stance toward the construction by Ethiopia of the Grand Renaissance Dam,” the Ethiopian President said. Ethiopian President Mulatu Teshome said his country would reach understanding with Egypt on means of benefiting from the waters of the world’s longest river. Mulatu expressed satisfaction with what he called the “development achievements” of his country, considering Ethiopia’s Renaissance Dam to be the most important of these development achievements. The Ethiopian President said 40 percent of the dam had already been constructed. Even with this, the dam has strained relations between Ethiopia and Egypt for more than a year now. Egypt used to say that the dam would deprive it of much-needed water from the Nile, its only source of water. Ethiopia, on the other hand, says the dam is necessary for its economic development and the welfare of its people. Remarkable change is, however, happening in relations between the two countries since the coming to power in Egypt in June this year by Abdel-Fattah al-Sisi, the army chief who led the army’s move in ousting elected president Mohamed Morsi last summer. A joint Egyptian-Ethiopian ministerial committee is due to convene in Addis Ababa on October 22 to discuss bilateral files, including Ethiopia’s Renaissance Dam, a multibillion dollar project that is expected to cater for Ethiopia’s electrical power needs as well as the needs of neighboring countries. nile river is not the ONLY source of water for egypt as they always claim…they have access to the red sea,suez canal ,and another sea in the north.